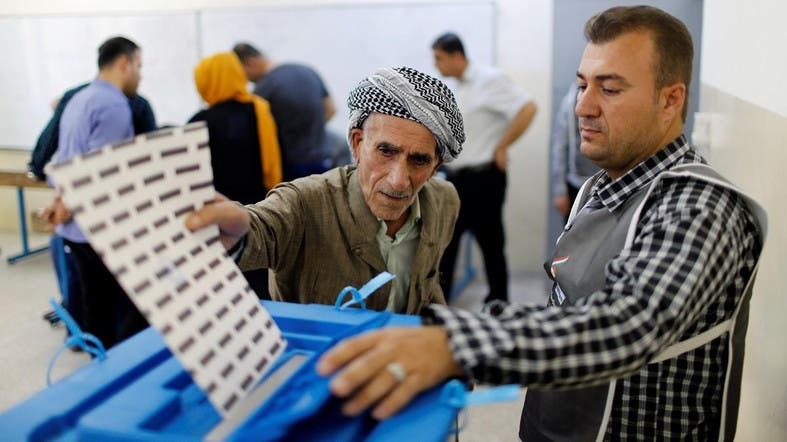 One of the dominant Kurdish parties in northern Iraq said it would not recognize the results of Sunday’s parliamentary election, injecting political uncertainty into a region still demoralized by a failed independence bid. The Patriotic Union of Kurdistan (PUK) said its decision to ignore the results, which have yet to be announced, was based on what it described as fraud in the voting process. The PUK is competing with its long-time rival the Kurdistan Democratic Party (KDP) in the election as discontent grows with perceived corruption and economic hardship. With a weak opposition, the political dynasties were expected to extend their power-sharing arrangement in the land of six million people, which gained semi-autonomous status after the 1991 Gulf War. Veteran KDP leader Masoud Barzani has managed to retain a support base even though he led an independence bid that brought humiliation and hardship for the Kurds after military and economic retaliation from Baghdad. Splits within the PUK could give the KDP an upper hand in their power-sharing arrangement, which has been fraught with tensions. While criticism of the ruling Kurdish establishment - dominated for decades by the Barzani and the Talabani families - has grown more vocal, a weak opposition means many voters may stick to traditional leaders. “I don’t know who I will vote for, but our family has always supported the KDP. My son will pick a candidate for me,” said Halima Ahmed, 65, as she walked with a cane in the city of Erbil, the seat of the Kurdistan Regional Government (KRG). Preliminary results are expected within 72 hours. There are 111 seats being contested in the election, including 11 reserved for ethnic minorities. At midday the Independent High Elections and Referendum Commission said turnout was 16-23 percent in a breakdown of provinces. At the Chenar School for Girls polling center, turnout by 1500 local time (1200 GMT) was less than 35 percent, said poll worker Shaaban Kazem. “The participation rate is very weak, said lawyer and independent observer Belnd Omar. The number of voters has shrunk in recent elections as the region’s stagnant politics, unpaid public sector salaries and corruption have undermined the population’s faith in politics. Observers from two opposition parties said that some people tried to use fake identification to vote but were stopped, though this could not be verified independently by Reuters. Kurdish opposition parties did poorly when Iraq held federal elections in May. But multiple allegations that the KDP and PUK had committed election fraud - not confirmed in a subsequent recount - may sway some voters in their favor. Gorran, the main opposition movement, has been weakened by infighting and the death of its founder and leader Nechirvan Mustafa last year. “I wanted to make sure I voted early. I gave my vote to Gorran and hope for the best,” said Omar Mahmoud Abdullah, 52, at a polling station set up at Shireen School in Sulaimaniya, stronghold of the PUK. At another polling station in Sulaimaniya, lawyer Hassan Dalloush, 65, also said he was voting for the opposition. “If there’s no fraud in this election, I’ll feel good about it. But the parties in power always want to commit fraud, it’s the only way they stay in power,” he said. Who are the main parties contesting for the Iraqi Kurdistan Parliament? Strikes in Kurdistan: Tip of the iceberg or Iranian economic collapse?